The number of people suffering with a life threatening chronic kidney disorders has been encountered to skyrocket to more than quadruple population of many developed countries, including India. However, in spite of having such a high prevalence, many people still are unsure about how fatal the disease is, and what are the possible treatment options for the same! It is important for people to become aware of the condition, which would help them to take necessary measures to manage their kidney disorders. Before moving ahead, it is advisable to understand, what role our kidneys play and why are they important for smooth functioning of our body. Kidneys are two bean shaped organs situated at the upper and the back side of the abdomen. For further protection from damage, they are protected under rib pockets. Kidneys are very essential for living, since their primary function is to filter blood, purify it from the toxic waste and other chemicals and remove outside the body through urine. These chemicals are being created through proteins released from food; we eat and are very dangerous to our body, if accumulated. They are the filtration devices, involved in removal of toxins and other waste products. They are involved in regulation of fluid balance by removing excess of water; however, failure of kidneys can cause accumulation of water in the body, leading to swelling. They are involved in controlling blood pressure by balancing salt. Kidneys are involved in conversion of vitamin D into its active form that is important for absorption of calcium from food. Immediately, you might ask a question to yourself, whether are you at a risk of severe kidney disorder? Following questionnaire can help you to answer your question! Are you suffering with chronic diabetes? Do you have high blood pressure, since long? Are suffering with vitamin D deficiency? Do you have a family history for kidney disorders? Are you suffering with nausea, vomiting, fatigue and itching in an unusual way? If answer for any of these questions is positive; then you are at a higher risk of suffering with the disorders. In this regard, a diagnostic test of glomerular filtration rate and urine protein can help you to clear your doubts. Chronic kidney disorder is a progressive condition, associated with structurally as well as functionally damaged kidneys, leading to permanent kidney failure; and death in extreme cases. Current treatment of the said disorder mainly comprised of dialysis and transplant. 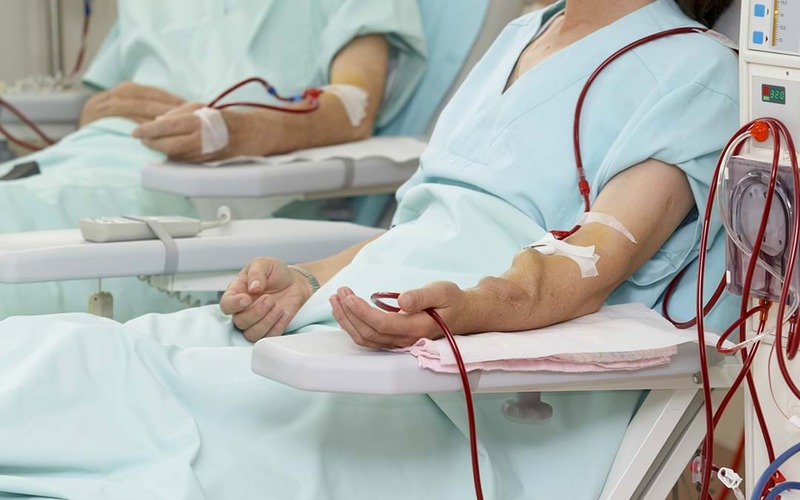 However, many people generally don’t wished to get locked in any of the types of dialysis; since, weekly three sessions have been prescribed, and each session lasts for about four hours. Moreover, it is quite frustrating to check on the diet and minimise a daily intake of fluid to two cups only! Besides, transplant has never been an easier option! Although, modern medicine has solution over kidney issues in the form of stem cell therapy! Studies have acknowledged that autologous applications of stem cells, isolated from patient’s own bone marrow and adipose tissue has great potential in managing kidney functions by replacing dead and damaged kidney cells, with their healthy versions.